If you live in the Archdale, North Carolina, area and are interested in achieving a more youthful appearance, you owe it to yourself to look into dermal fillers. These minimally invasive cosmetic treatments have become extremely popular in recent years, and bring many men and women to the Forever Young Med Spa team. Forever Young commonly serves people from Thomasville, Asheboro, and High Point, as well as people from Randolph, Davidson, and Guilford County. Schedule an appointment online or by phone to explore the different types of dermal fillers, and how each can work to give you a more youthful, rested, and healthy appearance. Dermal fillers are specially-blended substances delivered via injection and used to augment the contouring of your face. They’re a minimally invasive cosmetic treatment option with a solid track record of safety. Dermal fillers help replenish the volume and fullness of subcutaneous fat that’s lost as you age. These procedures create impressive results without the risks associated with more invasive procedures like plastic surgery. There are different types of dermal fillers that provide varying results. Your provider at Forever Young can help guide you toward the product that’s right for you. 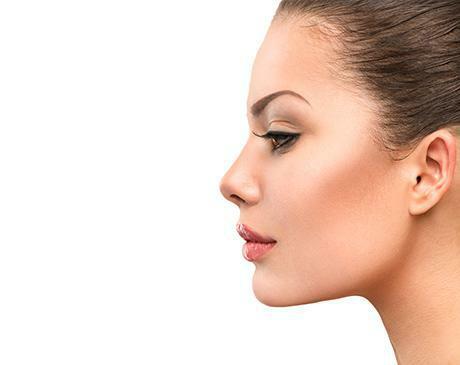 What type of dermal fillers are available? Forever Young Med Spa offers RadiesseⓇ, RestylaneⓇ, JuvedermⓇ, and Belotero BalanceⓇ. This dermal filler is a gel made of Calcium Hydroxylapatite microspheres. Radiesse not only provides an immediate volume improvement in the treated area; it also stimulates your body to produce natural collagen, which creates lasting results. Radiesse is used to plump moderate to severe facial wrinkles and folds, like the creases that stretch from the sides of your nose to your mouth. This dermal filler is a clear gel made of hyaluronic acid, a substance found naturally in the human body. It works by increasing fullness in the treated area, smoothing the appearance of facial folds and wrinkles. Restylane can also address severe facial wrinkles and folds; it can even be used to add volume to your lips. Belotero Balance is a hyaluronic acid filler that adds volume to your nasolabial folds, the area running from the sides of your nose to the corners of your mouth. Juvederm fillers are also made of hyaluronic acid and are formulated to add volume to your cheeks, lip lines, lips, crow’s feet, and nasolabial folds. Certain people should not use dermal fillers, including those who are pregnant or breastfeeding, have a bleeding disorder, or have an allergy to one or more components of the product. The Forever Young team will help you determine if dermal fillers are right for your situation. Everyone’s body responds differently to dermal fillers. In clinical trials, Radiesse has been proven to yield results lasting for one year or longer. As your body absorbs the gel, newly produced collagen is left behind, which extends the results of the initial injections. In general, Restylane lasts for 4-6 months, although many men and women report noticeable improvements in their facial contours as long as 18 months after their treatment. To learn more about these and other dermal filler options from reputable pharmaceutical companies like Allergan, schedule an appointment at Forever Young Med Spa at your earliest convenience.